Organize resources by application to streamline exporting credentials. When you’re buying a database or monitoring service, you usually have an application in mind. Previously, you’d have to name your Manifold resource something like My Project — Logging to remember what each resource belonged to. No longer! 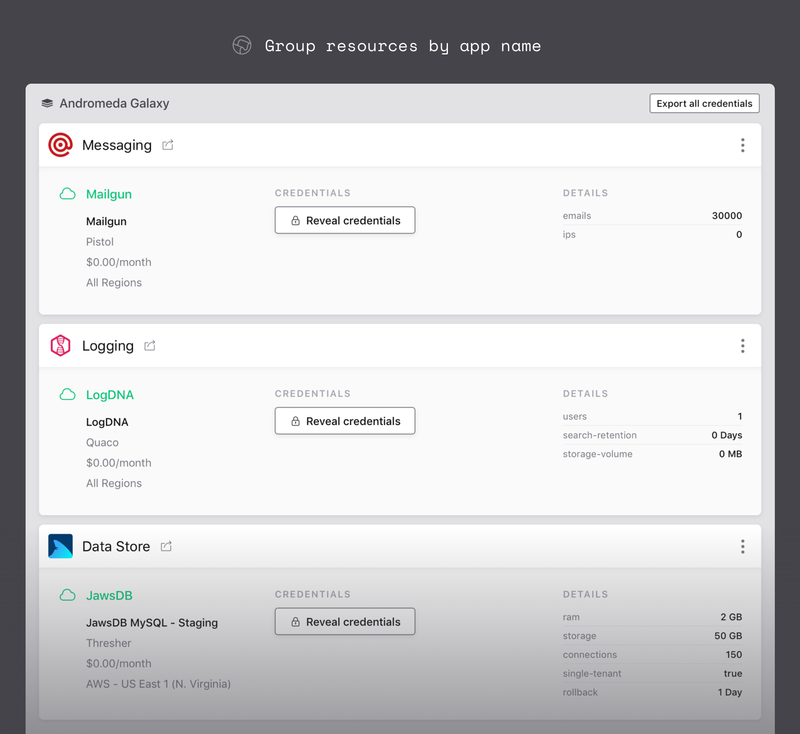 Now you can define an app name for each resource, making grouping fast and simple. But the fun doesn’t stop there. You can also export credentials by application, making it much easier to get your beloved services into an application. Ready to start grouping resources? Here’s how. When creating a resource, simply set an App name. You can use whatever makes the most sense to you. Now create another resource using the same App name, and voila! Your app is grouped and labeled with App name. This will help you keep track of what’s what and enables another powerful feature: exporting an app’s credentials. Get all your resource credentials in one step. 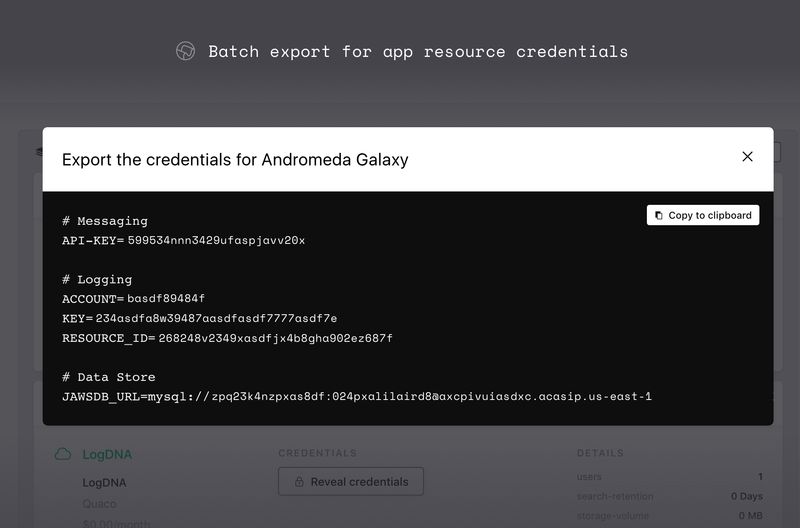 Now that your resources are grouped, you can now click Export all credentials in the app group header to copy all the credentials. What do you think? If you have any feedback please let us know! This is a small step towards making your life as a developer a bit easier. Not on Manifold yet? Register for an account and transform the way you use developer services. If you have any feature requests, I’d love to hear them. Feel free to reach out directly via email or @ us on Twitter!